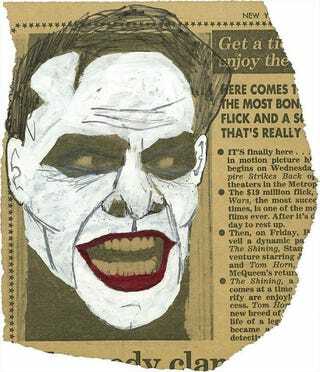 You could own the original sketch that transformed Jack Nicholson into the Joker! When producer Michael Uslan was first thinking about how to bring a darker version of Batman to the big screen, back in 1980, he saw a photo of Jack Nicholson from The Shining in the newspaper — and he started drawing on it. Uslan turned Nicholson's famous "Here's Johnny!" face into the Clown Prince of Crime. And, just nine years later, the rest was movie history.